When an oral surgery is necessary—as with any other type of dental procedure—we aim to keep you as comfortable as possible throughout the process. In addition to numbing the area around the extraction site, we also offer safe and gentle sedation dentistry to help you relax. Inhalation sedatives work quickly and are completely reversible so that you can easily drive yourself home afterwards. If oral sedation is preferred, you will need to have someone accompany you as the effects can cause drowsiness for a few hours. If you’re having a tooth extracted because of damage or infection, it’s essential to have a plan for replacing it after your oral surgery. A restoration such as a dental implant or fixed bridge can fill in the open space for functional and aesthetic purposes. Without one, the surrounding teeth can start to shift or move out of place, compromising the alignment of your entire smile. 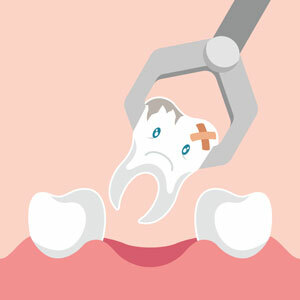 Painful or infected teeth may be able to be restored with treatments such as root canals, crowns or soft tissue therapy. When your teeth are structurally sound, we will review all options with you so that you can make an educated decision about the best next steps for your individual concerns. In Pain? Emergency Dentistry Is Available! Our office is open seven days a week to provide urgent emergency care and pain relief, including oral surgery when necessary. Contact us today.